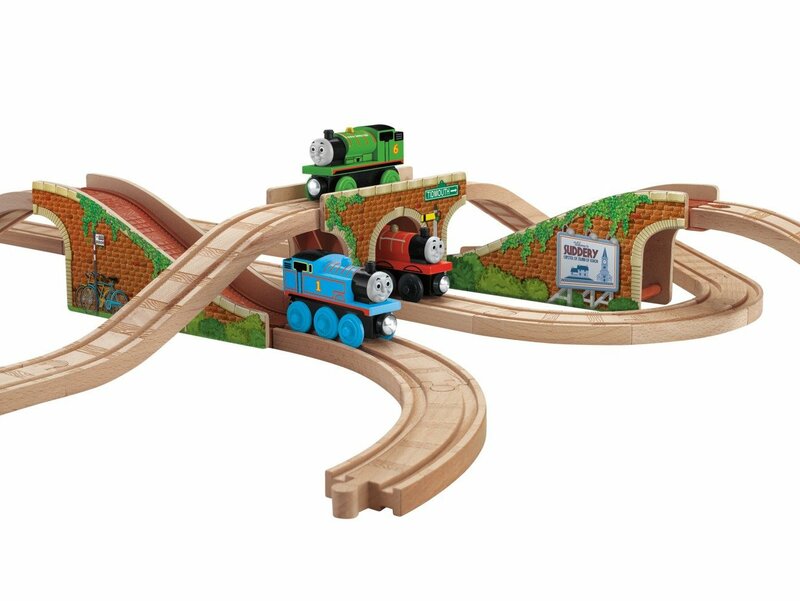 Transforming Track Bridge is part of the Thomas Wooden Railway accessory collection. Create new, exciting layouts with this 3-piece bridge! Includes two ascending track pieces and a center arch bridge. Take the bridge apart and put in sections of track to create elaborate layouts.